Of Frames and Passing Time presents multiple perspectives on the different roles we may play in our life. It begins with the process of re-contextualising the photographs, and concludes by provoking us to contemplate the physical and emotional proximity and distance in our relationships. For everything we share with people we love, there are some parts of ourselves that we keep hidden. Reconciling the miles between Singapore and New York City, John Clang’s father takes a photograph of his life in Singapore every day in 2017, and sends them to his son in NYC. Reading these 365 photographs by his father, Clang reassembles and re-photographs selected shots as a response and a reflection that corresponds to each month of his life. 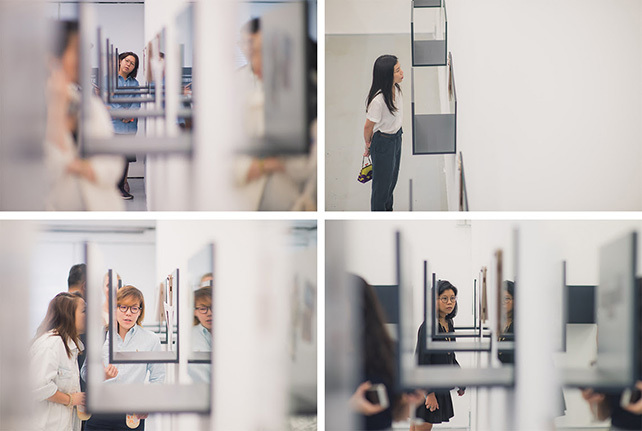 These 12 works lead friends-turn-art collaborators – John & Cheryl Chia on a contemplative and dialectic journey of image and text. As they enter a parallel world of emotion, they recorded their thoughts in 12 writings that are derived from their life experiences in the same months of 2017. John on his relationship with his own ailing father, and Cheryl on her life with her loved ones. This exhibition supports the fundraising efforts to transform DECK into a permanent art space in Singapore.